On 4 September 2013, the 21st International Ecumenical Conference on Orthodox Spirituality on the theme “the Ages of the Spiritual Life” began its work in the Monastery of Bose, Italy. Taking part in the symposium are official delegations of Local Orthodox Churches, representatives of the Roman Catholic Church and Protestant communities, as well as prominent scholars and theologians. The delegation of the Russian Orthodox Church is led by Bishop Konstantin of Zaraisk, rector of the Kolomna Theological Seminary. 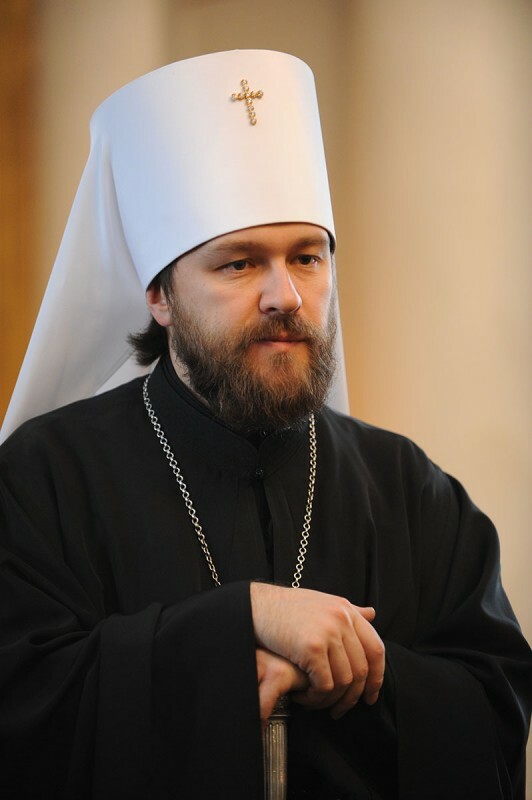 Metropolitan Hilarion of Volokolamsk, chairman of the Department for External Church Relations, sent a message of greetings to the organizers and participants of the conference. The text of the message is given below. On behalf of His Holiness Patriarch Kirill of Moscow and All Russia, I cordially greet all the participants in the 21st International Ecumenical Conference on Orthodox Spirituality, organized by the Monastic Community of Bose and dedicated to the theme “The Ages of the Spiritual Life”. The notion of spiritual growth implying that a person goes through various stages in his self-improvement, appeared already in the works of the most ancient Christian writers. We can find this notion in the writings of the Cappadocian Fathers, St John Chrysostom and St Ambrose the Bishop of Milan. It became the cornerstone in the spiritual heritage of Evagrius of Pontus ad St John Cassian the Roman. In the 7th century, St John of the Ladder systemized the idea of various ages of spiritual life, which he regarded as stages of gradual ascension to God through cutting off passions and gaining inner peace and true love. The experience described in the “the Ladder of Divine Ascent” became fundamental for Russian monasticism and gained a new momentum in the 18th century thanks to St Paisius Velichkovsky and translators of the “Philokalia”. We can find this idea in the “Candid Narratives of a Pilgrim”, as well as in the ascetic feat of Optina Elders. I hope that the Conference will make a thorough study of various aspects of gradual spiritual growth. I wish all the participants fruitful work and God’s blessing.